Members of Rowan’s Operation Smile Club gathered on Friday to make dolls for children suffering from facial deformities like cleft lip and cleft palate. The group meets several times a month to construct home-made items for underprivileged children. By partnering with the international Operation Smile organization, the club also works to raise money to help dentists and surgeons give the procedures the children need free of charge. The group makes what they call “Smile Dolls” to ease the anxiety of the children before surgery. These dolls are then sent to places like Vietnam and the Philippines to be given to affected children. All materials were provided at the meeting. For those who may worry about their sewing skills, junior chemical engineering major Cali Janulis mentioned the ease of the project. The dolls were sewn together from several pieces of felt, and a paper template was provided to help each individual trace an outline for the size of their doll. Different color felt was also made available to craft the dolls, representing the diverse nature of potential recipients. The faces of each doll were left blank so that the children could draw on an expression once they receive it. Operation Smile Club social media chair Dalina Le, who is Vietnamese herself, said she greatly sympathizes with children in need in Vietnam and all affected countries. Le and the other members of the club look to spread awareness of this condition that many children are suffering from worldwide. 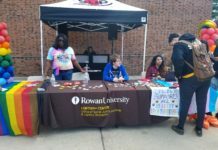 Operation Smile has existed at Rowan for several years, but the group was inactive due to a lack of awareness and diminishing membership numbers. 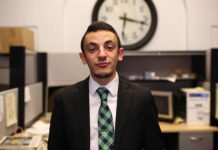 It did not start back up until the current club president, junior biology major Louila Al Bitar, gathered friends and revitalized the club last year. Last year, the club focused on fundraising efforts, participating in events like Cookies for a Cause. 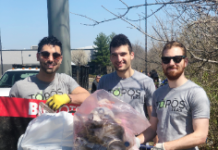 Through social media and word of mouth, people were drawn to the good-deed aspect of this group. In addition to the dolls, the members also sew smile bags, which include items like mirrors and coloring books. By the end of the meeting, members were allowed to spend as long as they wanted sewing, but if they didn’t have enough time to finish before the meeting was over, another member would be able to finish for them later.